Tomorrow I'm hosting the November gathering of the Cheapskates Crafters card making ladies (doesn't that sound formal, it's really just a bunch who like to get together to chat and make cards) and I can't wait. As per our usual routine we all bring a small plate of something yummy to share for afternoon tea. I've made this Simple Lemon Cake to share tomorrow afternoon. It's delicious, moist and really good. Preheat oven to 175 degrees Celsius. Grease and flour a 22cm x 33cm cake tin. Mix all cake ingredients, except icing sugar and lemon juice, and beating well. Pour into the prepared pan. Bake for approximately 35-40 minutes. Test cake is cooked by inserting a toothpick into the centre. If it comes out clean, the cake is done. 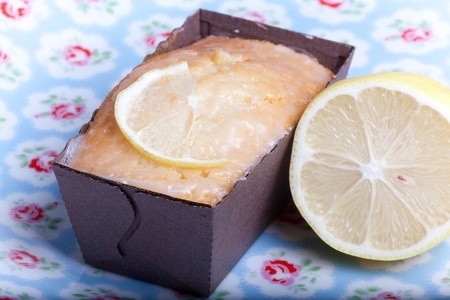 While cake is baking, mix icing sugar and lemon juice. Spread over a warm cake for a crusty glaze or over a cool cake for a thicker glaze. Sounds like a great menu plan Cath! The lemon cake sounds interesting, especially with the use of jelly crystals, I definitely must try this one! It's a lovely moist cake Tania. The recipe has lemon essence in it, I don't always have lemon essence in the pantry so if I don't I leave it out, still tastes delicious. This is the only recipe I have for a cake that uses jelly crystals as a part of the actual cake, but we all like it. I've also used orange jelly and orange zest and it's made a nice cake too. Forgot to add it can be white or wholemeal too. It has the rising agent added to it so no need to add baking powder to the dry ingredients. That makes sense! I was overthinking the whole thing. I was thinking sweet rice flour, or something else. Thanks. Now, what are jelly crystals? Is there something else that could be used instead as I have never heard of them? That cake looks really, really good. In Australia jelly crystals are flavoured and sweetened gelatine - jello in the U.S? I should put up a translation page shouldn't I - I forget I have a few international readers :) The cake is really good. I sometimes use orange jelly instead of the lemon and orange zest instead of the lemon essence to make an orange cake, and use orange juice in the glaze. I hope you like it as much as we do. The cake was very yummy Cath.